Our buzzing St Andrews restaurant & Cocktail bar is filled with Christmas cheer and a magical atmosphere this December. Festive lunch and dinner menus feature a range of flavor some dishes of traditional succulent Roast Turkey with all the trimmings, spiced apple & cinnamon crumble. 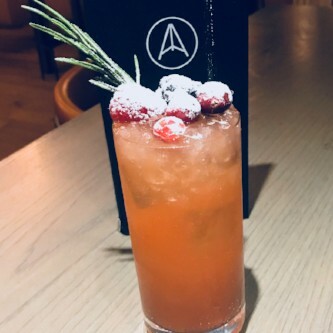 To get the party started we have created a special festive cocktail ‘eden mill mulled punch’ of gin, apricot brandy, orange lemon & cranberry syrup. What a treat is in store!